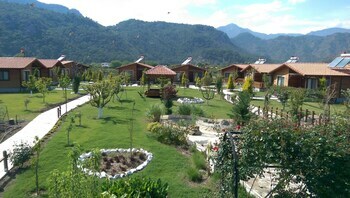 With a stay at Ruya Villen Park in Kemer, you'll be 3 mi (4.8 km) from Yanartas and 13.1 mi (21.1 km) from Ancient Olympos. Featured amenities include express check-in, a 24-hour front desk, and a library. Planning an event in Kemer? This hotel has 861 square feet (80 square meters) of space consisting of conference space and a meeting room. A roundtrip airport shuttle is provided for a surcharge (available 24 hours), and free self parking is available onsite.